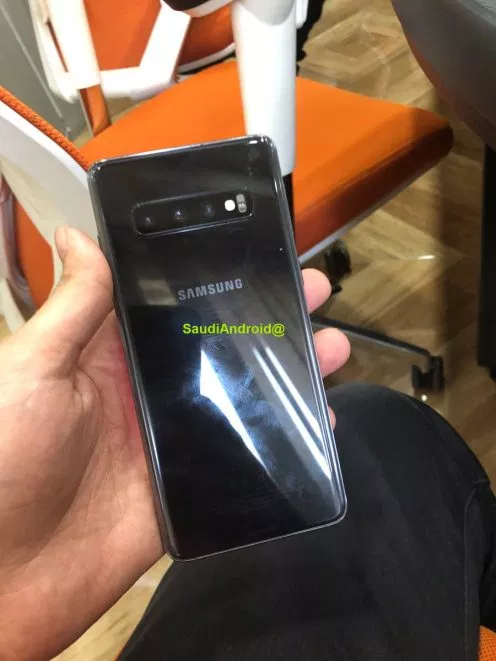 Twitter user SaudiAndroid got hold of fresh images of the soon-to-arrive Samsung Galaxy S10 and S10 Plus. 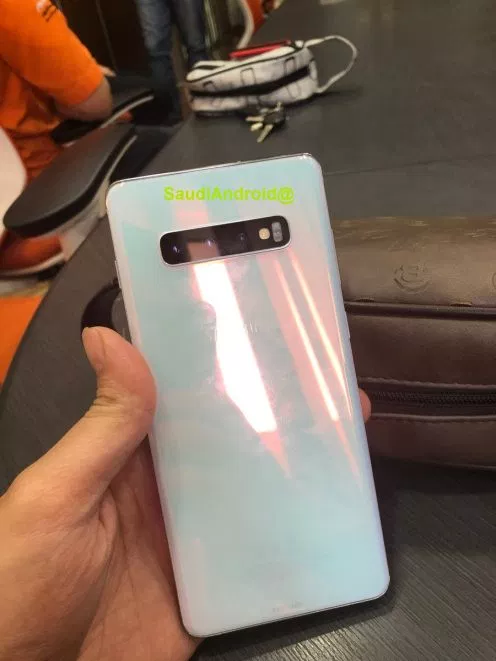 The leaked images give a close look at both the front and back side of the two phones in multiple colors. 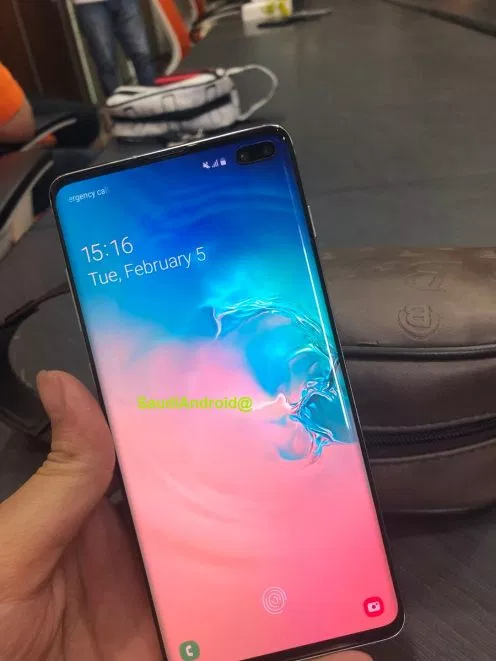 The most exciting aspect revealed from the images is the in-display fingerprint scanner seen in the first Samsung Galaxy S10+ image. As expected, it will appear in the center of the bottom of the touchscreen. The next thing that caught everyone’s eye is the hole-punch design adopted for both the phones to accommodate the front camera. 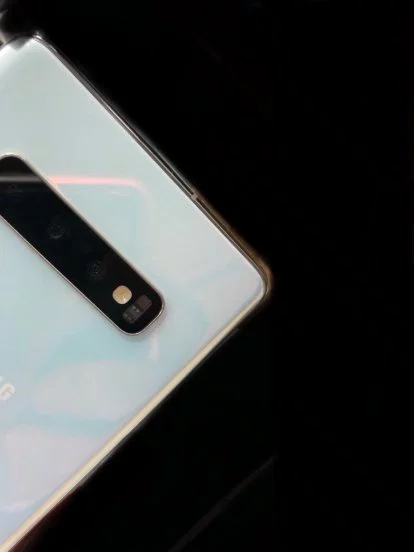 While the S10 has a circular cutout for one camera, the S10+ has a round-edged rectangle cutout as it has not one, but two front cameras. The back side images leaked confirm everything being anticipated, and more. 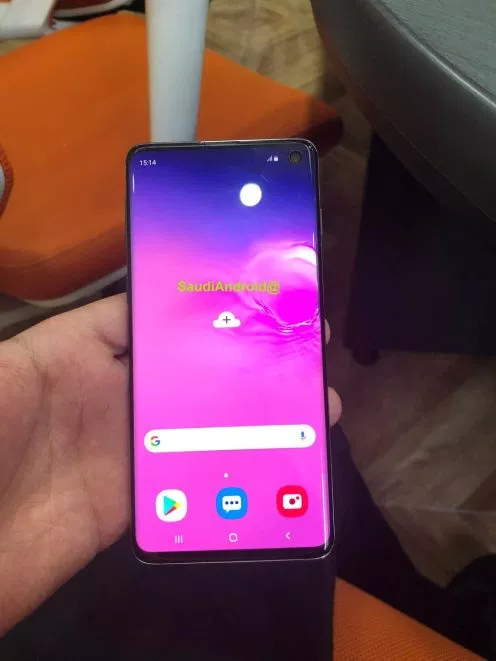 There is no fingerprint scanner and the only thing present apart from the three cameras placed horizontally in a black elongated window-like structure is the logo. The colors on the bodies of the phones in the images are black and teal, though in no way are they going to be the only options provided. Interestingly, a very similar image was leaked by Evan Blass some time back, but with a different (gold, instead of silver) outline on the edges, which seems to suggest there is another variant in the pipeline altogether. Lastly, Roland Quandt leaked two images and a poster regarding the phones in question. 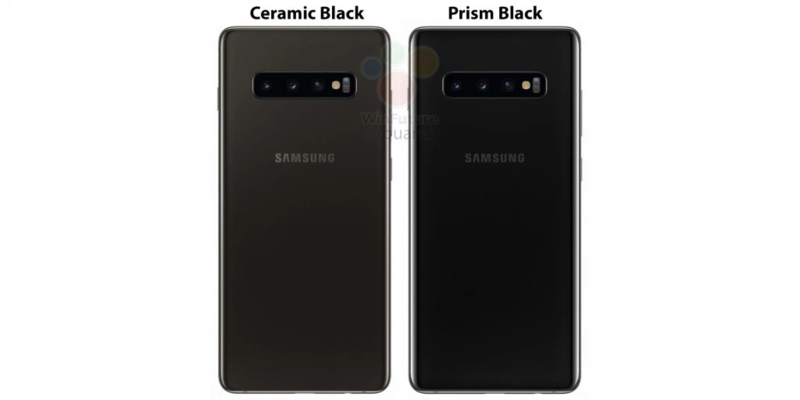 The first two showcase the back sides of the Galaxy S10 and S10+ in the third and fourth colors speculated to be announced – Ceramic Black and Prism Black. The third image, the poster (featured image), shows the new Galaxy Buds (to likewise be unveiled in Samsung Unpacked) being reverse charged using the Galaxy S10. The phones are scheduled to be unveiled, among a host of other things, at Samsung’s Unpacked Event to be held in San Fransisco on 20th of February. The event can be seen live on their official website.